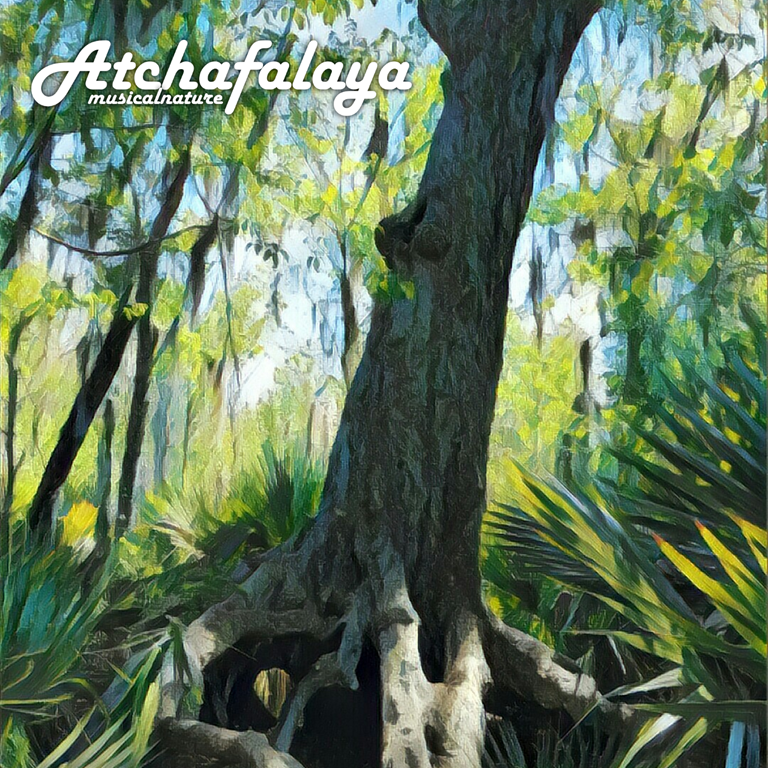 I am pleased to announce, that I am officially releasing my latest long form ambient album out to the world, Atchafalaya. I recently took a trip down to New Orleans with my fiancée, and got to experience the city in a whole new light than I have before. It was a wonderful trip, and we had an amazing time. While I was there, I brought along my travel recorder and gear, and captured sounds inside and outside of the city. On our trip we visited The Singing Oak in City Park, Jackson Square, the swamps at Jean Lafitte National Historical Park and Preserve, rode the streetcars down and back on St. Charles Avenue, to name a few things… but those sounds below are what make up this hour long slow and wandering journey through NOLA and surrounding environments, just as it was on “New Orleans Time”. The name itself comes from not only one of the amazing restaurants we ate at while we were there, but also the Atchafalaya River. While we did not visit the River on the trip, it provides more of a Southern Louisiana feel to this track, because all of the sounds captured were from both inside and outside of the city. Atchafalaya will be available soon from all major digital media outlets such as iTunes, Amazon Music, Google Play, and more. I recently took a trip down to New Orleans with my Fiancé, and got to experience the city in a whole new light than I have before. It was a wonderful trip, and we had an amazing time. The Singing Oak easily became my new favorite place in New Orleans. Also, while I was there, I brought along my trusty travel recorded and gear, and captured sounds inside and outside of the city. Below is my take on the rendering and mixing of these sounds of one of my favorite cities. It is long, slow, and wandering… just as if it was on New Orleans time. This is the first rough cut, so please be honest, even brutal in your comments if you need to be. All feedback is welcome and will help render the final version of this piece.